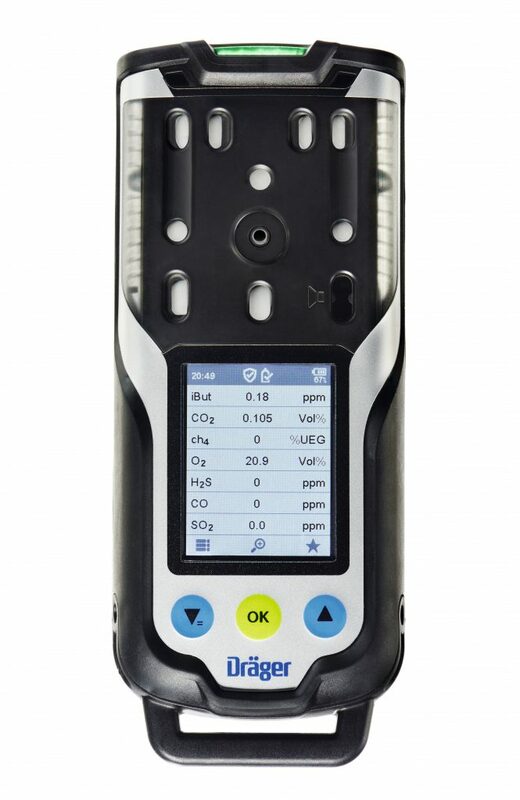 14.05.2018 The Dräger X-am 8000 simultaneously measures up to seven toxic or flammable gases and vapors as well as oxygen – in pump or diffusion mode. Comprehensive process safety is assured by a clear signaling concept and convenient assistant functions. 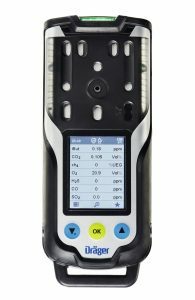 The handy, robust gas detector supports diverse typical applications by offering specially developed assistant functions that guide the user through the process step by step. During confined space entry measuring, for example, the device calculates from parameters such as measurement gases, temperature limits, and entered hose length the required flooding time for the probe used. The device can be intuitively operated via three function keys using only one hand and clearly shows all information on a color display. In the event of an alarm, the device issues its warning via colored alarm LEDs, a loud horn sound, and clearly perceptible vibration. Changeover between diffusion and pump modes is accomplished by means of a pump adapter which ensures that the pump is only operated when it is actually needed. An optional Bluetooth interface facilitates digital management and documentation of measurements. Two PID sensors are available for measuring volatile hydrocarbons: the PID HC covers a measuring range from 0 to 2000 ppm (isobutylene) and the PID LC ppb is particularly suitable for a measuring range from 0 to 10 ppm (isobutylene) with high resolution in the range below 1 ppm. For benzene-specific measurements, the device can be operated with a first tube.